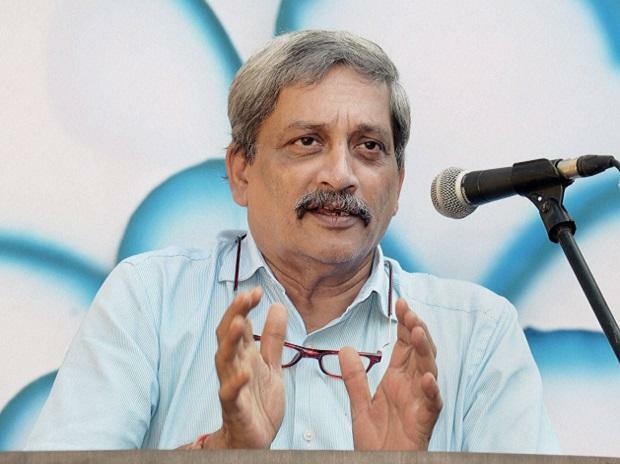 Manohar Gopalkrishna Prabhu Parrikar, who passed away in Goa on Sunday evening, is remembered in the defence ministry and across the industry as a rare minister who grasped the daunting technological dimensions of the military. His background as an Indian Institute of Technology (IIT) graduate and as a chief minister with an excellent track record as an administrator equipped him to initiate defence industry and policy reforms that are only now beginning to bear fruit. On November 10, 2014, Parrikar left as Goa’s chief minister and took over the powerful defence minister’s post, replacing Arun Jaitley who had functioned as a stopgap for the previous five months. Parrikar remained defence minister for just 28 months, returning to Panjim on March 13, 2017 to head the newly-elected Bharatiya Janata Party (BJP)-led coalition government. “Like AK Antony before him, Parrikar came to the defence ministry with a reputation for personal honesty. But Antony was wary of private companies and felt comfortable only with the public sector. Parrikar was confident enough to throw open his doors to private firms, and to co-opt them into building India’s defence capabilities,” says a top civil servant who served under Parrikar. “His extraordinary passion and commitment to the public good brooked no short cuts or unholy compromises. A rare figure in public life, his absence will be sorely missed,” says former defence acquisitions chief Vivek Rae. In instituting defence policy reform, Parrikar often underestimated the resistance from entrenched interests. Consequently, he seldom met his self-imposed deadlines, whether in coming out with the new Defence Procurement Procedure of 2016, a Make in India policy, or the Strategic Partner (SP) policy that overtly co-opts the private sector into defence manufacture. Yet, many of these policies are now coming on stream and the credit goes to Parrikar, say defence ministry bureaucrats. “He was an affable, approachable, man-on-a-mission who devoted himself to deciphering and simplifying the complexities of defence acquisition policy,” recalls Rajindar Bhatia of the Kalyani Group. Parrikar’s tenure was not without controversy, such as when he stated in May 2015: “We have to use terrorists to neutralise terrorists.” Typically, Parrikar never apologised for that statement or retracted it. However, Parrikar had only a limited role in the single biggest defence controversy that still dogs the BJP-led government: the purchase of 36 Rafale fighters from French vendor, Dassault. As numerous reports have now established, key decisions relating to that contract were taken in the prime minister’s office (PMO) or by the cabinet committee on security (CCS), including the decision in early April 2015 to announce the purchase during Prime Minister Narendra Modi’s visit to Paris that month. Parrikar was left with the job of defending the deal to the media. He consistently made it clear that, his support notwithstanding, the decision to buy 36 Rafale was Modi’s and the PM should be “given credit” for it.